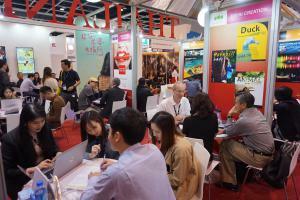 HONG KONG, CHINA, April 1, 2019 /EINPresswire.com/ -- The Department of International Trade Promotion (DITP), Ministry of Commerce in combination with the Ministry of Culture and the Department of Tourism announced extremely encouraging results from the Hong Kong International Film and TV Market (FILMART) 2019. Twenty-two Thai companies were represented at the Thai Pavilion, including film production and distribution companies, production services and facility companies, television production and distribution companies, and documentary producers. Animation and VFX company The Monk Studio has agreed an outsourcing deal with Korean Company - Animation.